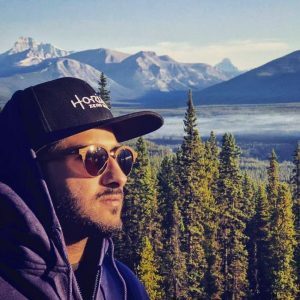 UM: I’m an Indian filmmaker who grew up in Dubai. My background is in production and set design, which I studied at Nottingham Trent University in England. However that was always a path for me wanting to make films: understanding the creative side. 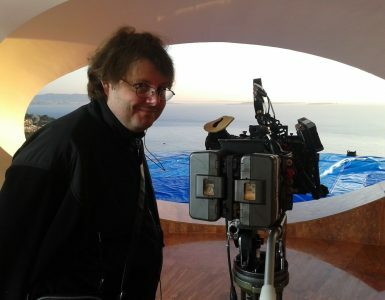 Some of the greatest filmmakers like Sir Ridley Scott and Alfred Hitchcock were part of art departments before making it as mainstream filmmakers. It’s the one side of film that has retained its roots in cinema, with the process just using different tools now. Learning to make films in New York [at the New York Film Academy] was a dream though, especially with the alumni list of NYFA. It’s in the heart of it all! 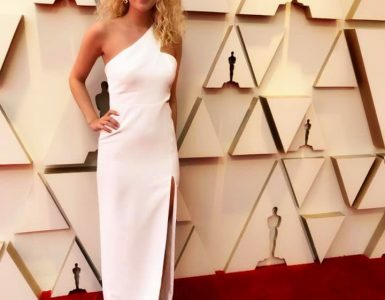 Could you believe telling a kid in dubai in the ‘90s, “You can make films in new york at the film academy”? It was literally a dream. NYFA: Do you have any favorite NYFA moments or classes from your time studying with us? UM: Lots of moments! Every day was a moment of its own, but learning the traditional ways of film, actually spooling it in, the process of measuring everything — it was amazing. Most of all, it was the people around me. I made some of the best friends there who were all amazing in their own way, and learning off of each other was amazing. I’m sure we’ll make more films together. NYFA: Why did you choose filmmaking? And what inspires you most as a filmmaker? UM: The freedom of telling a story. Film to me is the best medium that you can use to connect with an audience, and immerse them into any world you create. Suddenly you have this power of speaking through the voice of another artist, along with the whole crew, all working towards that moment, that one amazing moment. I like waking up knowing that morning I can be living in a world of the 10th century or 100 years in the future for the next few weeks or days or months. It’s exciting. 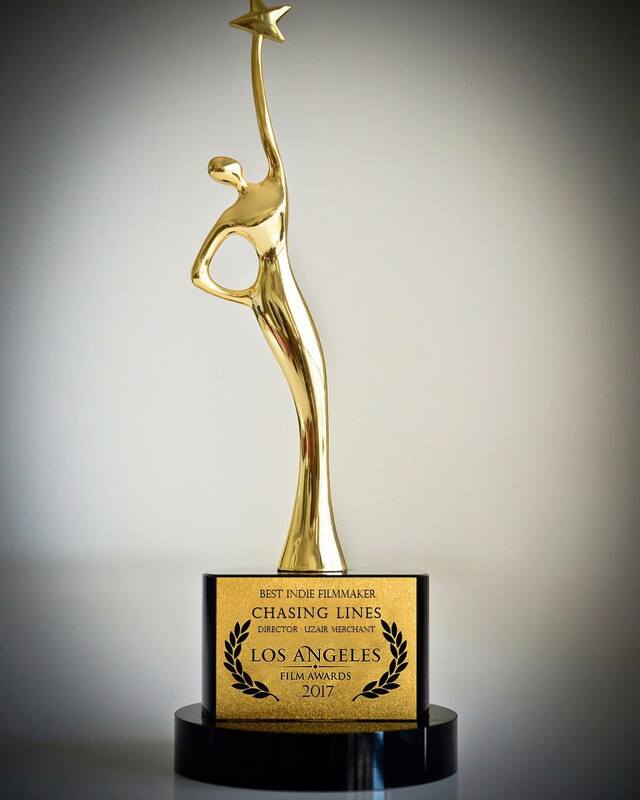 NYFA: Can you tell us a bit about your process in creating “Chasing Lines,” and what motivated you to bring this project to life? 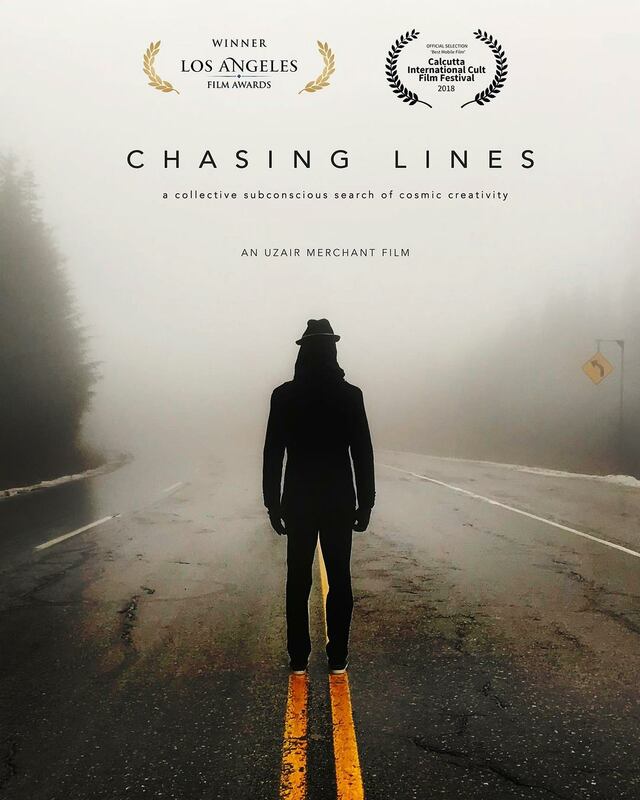 UM: “Chasing Lines” is a sequel to a short film I made eight years back, “In Between Lines,” which was about comparing roads to people. Hopefully eight years from now, I’d like to make “Beyond Lines” — and then it will be an overall 15 minute trilogy made over 16 years. The first film, “In Between Lines,” was about figuring out the paths of life and comparing roads to people. “Chasing Lines” is about realizing the chase of life, but trying to understand the why. It’s a dialogue with the earth. Hopefully “Beyond Lines” will be about .. who knows? I’ve always been obsessed with that question of purpose of life and how connected we are in such a weird magical network of a universe. On the technical side of “Chasing Lines,” I wanted to explore. You see how the smartphone has kind of taken over everything, and if that is the future in some weird way I wanted to explore it, so the whole thing — even the voice-over — is recorded on the iPhone. The poster image is also taken on the iPhone. It was challenging, especially doing the long time-lapse shots that lasted 20-30 minutes each. Fun, though. 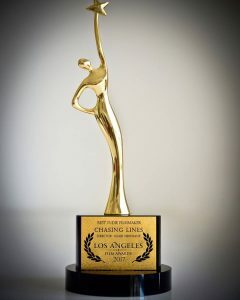 NYFA: “Chasing Lines” just won Best Indie Filmmaker at the Los Angeles Film Awards. Congratulations! For our students, do you have any advice on what you learned through the process? UM: Thank you so much! Maybe that’s the best advice: get inspired. UM: Oh, for sure: NYFA teaches you fundamentals you are expected to know and understand in the professional world. Simple things, but important — like basic rules of filmmaking and understanding the whole process from start to end. NYFA: What’s next for you? Any upcoming screenings or new projects you’d like to tell us about? 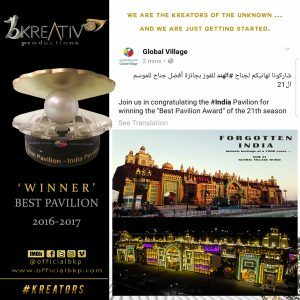 I also do production design for a theme park in Dubai called Global Village, and we design and build pavilions for each country. It’s pretty cool, like a massive standing film set for six months. That’s the first part of my year coming up and even though it’s so wild and crazy with the scale of it all, it’s fun — and you learn a lot very fast. You have to. Plus, I get to work with my parents on it! We each have our areas on the project and its all connected and feeds into the bigger picture. 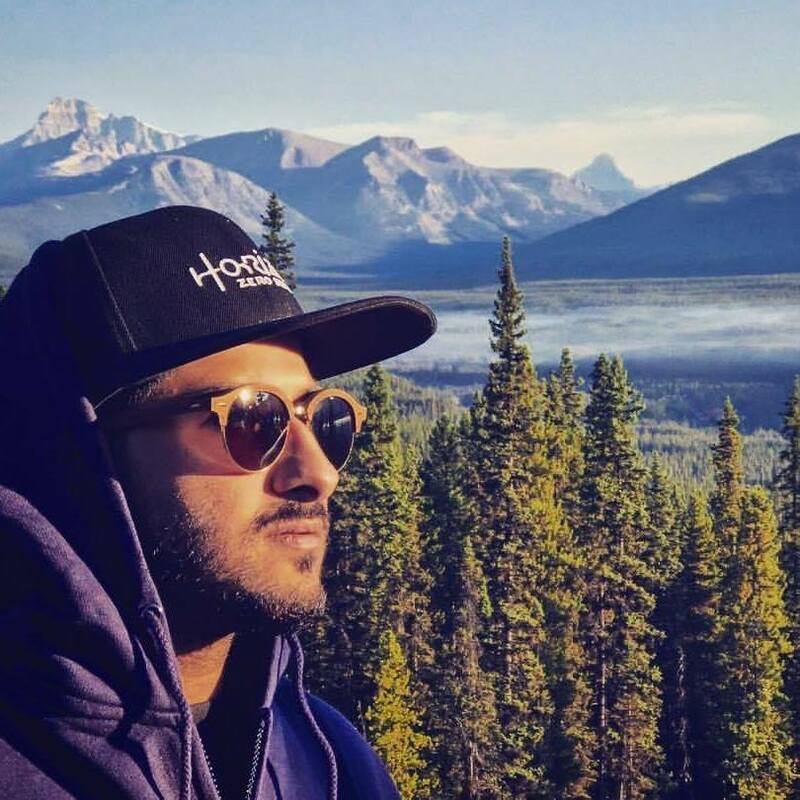 UM: I have my own production company called B Kreativ Productions, based out of Dubai and recently Vancouver too. 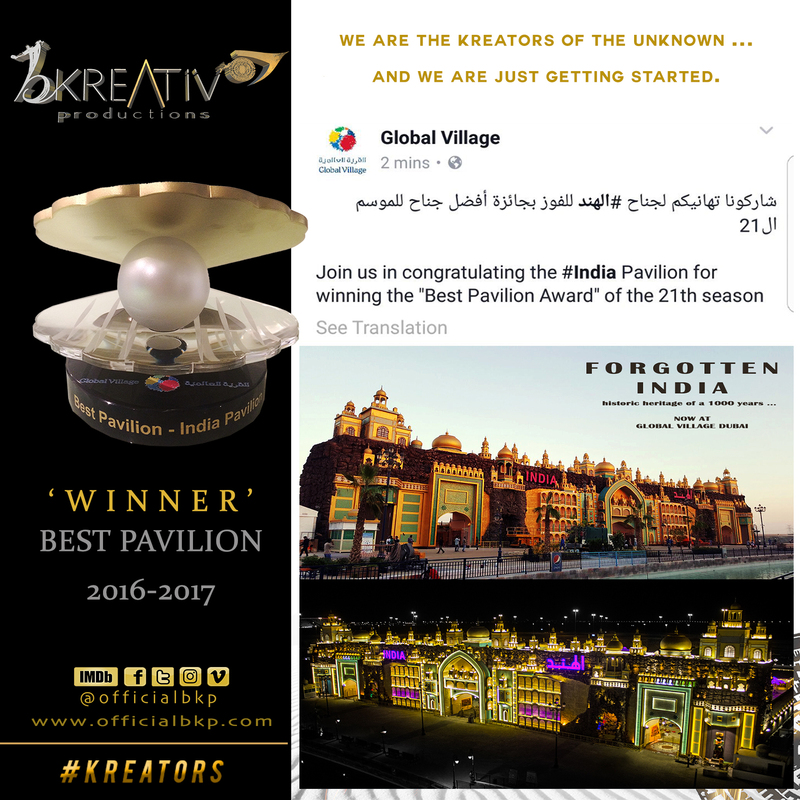 We are a multi-award-winning production company and it’s something I’d like to grow over time by adding creative value by exploring and merging with new talent and work. My relationship with NYFA and my university Nottingham Trent gives us the opportunity to grow, and we are lucky to have that! 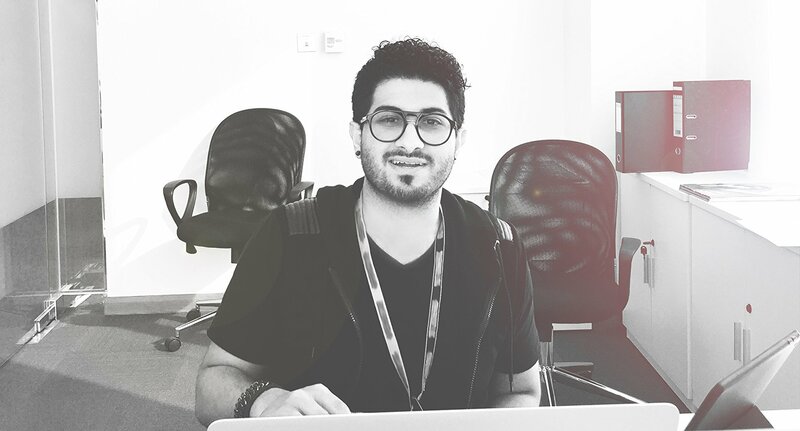 The New York Film Academy would like to thank Uzair Merchant for sharing a part of his story with our community, and congratulate all our alums who are working hard to shape the industry for the better.